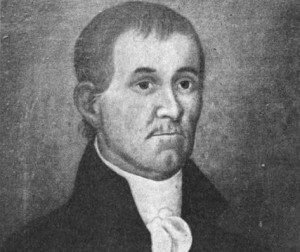 A student at Yale College during 1771–1775, Bushnell demonstrated that gunpowder could be detonated underwater. This gave him the idea of building what he called a “water machine”: the world’s first combat submarine. A pear-shaped vessel made of oak and reinforced with iron bands, the Turtle (as witnesses dubbed it) was 7.5 feet long by 6 feet wide and was operated by a crew of one, who could submerge the vessel at will by pulling a hand-spring valve that flooded a compartment in the hull and then could surface again by operating a foot pump. The Turtle could place an explosive mine below the waterline on the hull of an enemy ship. The mine was timed to explode after the Turtle had retreated to safety. The Patriots used Bushnell’s Turtle a few times in the American Revolution, but without success.